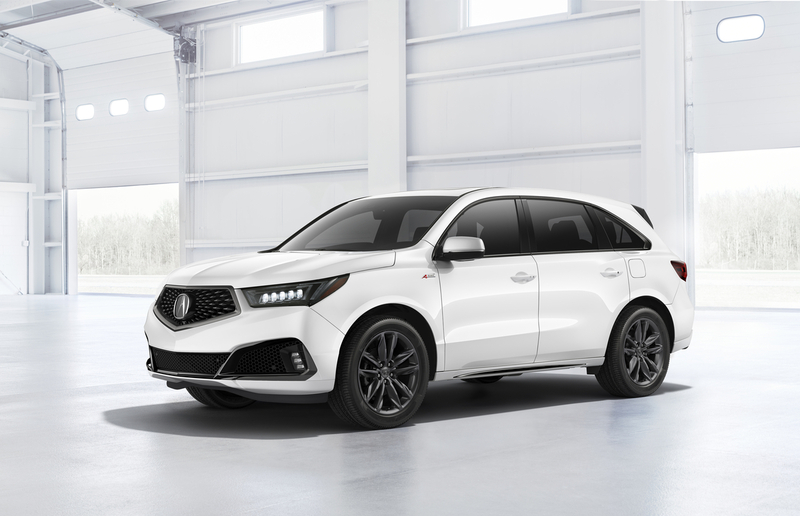 Topline: For 2019, Acura updates the MDX with new luxury and performance enhancements along with a first-ever A-Spec sport appearance package which includes wider wheels and tires along with other trim exclusive features. What's New: Following a major design refresh in 2017 and key technology updates in 2018, the 2019 Acura MDX builds on these changes by adding new interior features which are designed to increase the three-row crossover's luxury quotient. 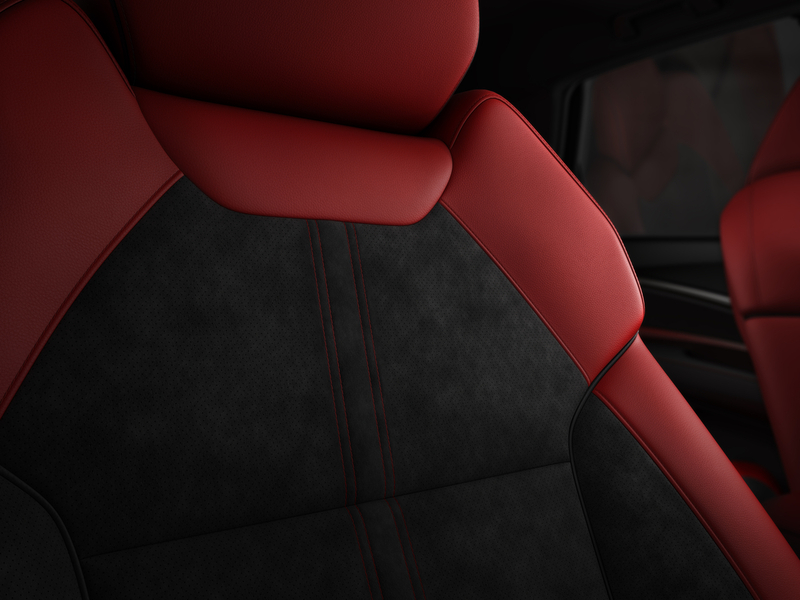 Inside, these new features consist of an available authentic Desert Olive Ash wood trim, high-contrast seat and door panel stitching, and contrasting front seat side garnishes. 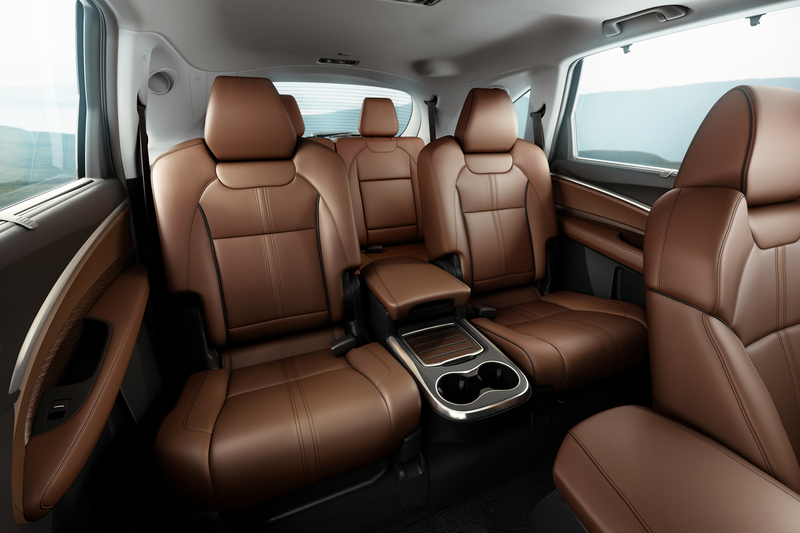 The driver and front passenger's seats now come standard with four-way power adjustable lumbar support, while the Technology and Entertainment packages get an updated second-row seat configuration, which enables easier access to the third-row seats. 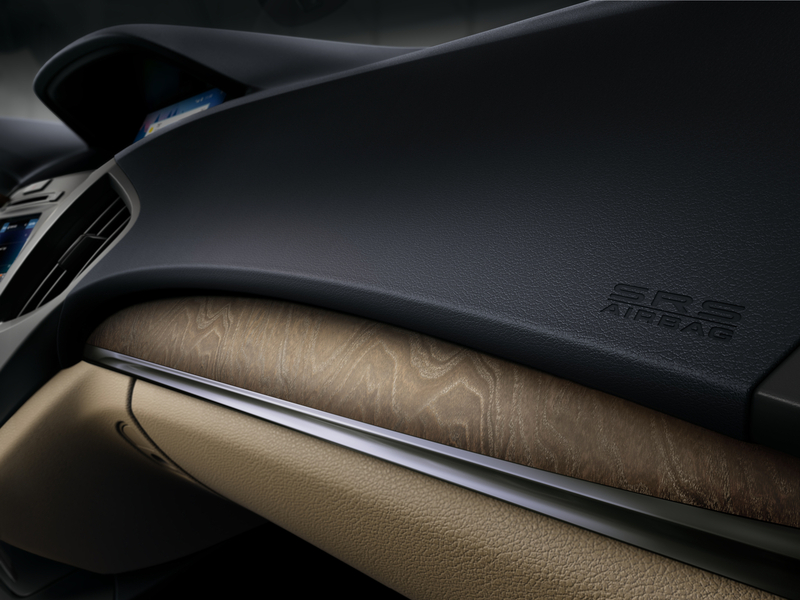 When equipped with Advance Package, the 2019 Acura MDX also features a matching wood center console trim. For 2019, the color palette for the MDX increases by five colors to a new grand total of nine colors. These consist of four new premium colors, which are Apex Blue Pearl, Performance Red, Majestic Black Pearl, and Canyon Bronze Metallic. Gunmetal Metallic is a new, non-premium color option which joins the existing color choices of White Diamond Pearl, Modern Steel Metallic, Lunar Silver Metallic and Fathom Blue Pearl. However, Apex Blue Pearl is exclusively available on the MDX A-Spec variant. 2019 Acura MDX models equipped with Advance Package also receive new 20-inch aluminum alloy wheels with a machine finish and Shark Grey accents. The new wheels are half an inch wider than before (up from eight inches) and are wrapped with wider 265/45-series rubber. For comparison, the 2018 MDX models were equipped with 245/50-series tires. Lower body-color garnishes are also added to the 2019 MDX models equipped with the Advance Package. The A-Spec sport appearance trim is all-new for 2019 and comes exclusively with Acura's Super-Handling All-Wheel-Drive (SH-AWD) system. The A-Spec version of the MDX is equipped with 20x8.5 inch Shark Grey aluminum alloy wheels which are wrapped with low-profile 265/45-series tires. An aggressive new front fascia, body-color lower sills, larger-diameter exhaust finishers, along with gloss-black and dark chrome trim for the headlights, grille, window surround and rear tailgate spoiler further distinguishes the A-Spec MDX from other variants. Inside, the MDX A-Spec features sports seats trimmed in red or black leather along with black Alcantara inserts, high-contrast stitching, unique A-Spec gauges, sport pedals, Alcantara door inserts, gloss-black trim, a thicker-rimmed A-Spec badged steering wheel with paddle shifters, and an exclusive A-Spec doorstep garnish. The 2019 MDX can now be optioned with Acura's Active Damper System, which was previously only available on the MDX Sport Hybrid. The system offers both ride comfort and handling advantages while further enhancing the dynamic range of the driver-selectable Integrated Dynamics System. The naturally-aspirated 3.5-liter direct-injected i-VTEC 24-valve V-6 engine is carried over from the 2018 MDX without any major changes. The engine still produces a healthy 290 horsepower and 267 pound-feet of torque. Power from the engine is sent to the front wheels as standard in the 2019 MDX. However, with the optional Super-Handling All-Wheel Drive system, 70 percent of the engine torque can be sent to the rear wheels with the ability to distribute up to 100 percent of the torque between the left and right rear wheels to optimize available traction while sharpening the steering and handling response. The nine-speed automatic transmission has also been reprogrammed in the 2019 MDX to provide smoother, more linear acceleration feel during normal driving conditions by prioritizing second-gear starts. However, during higher-demand situations like full-throttle acceleration, certain uphill and towing situations, and when the Sport mode is selected, the transmission is programmed to prioritize first-gear starts for maximum acceleration and pulling power. An updated idle stop feature is now standard across the 2019 Acura MDX lineup. The system's enhancements now shorten the engine re-start response and the operational smoothness with a new brake pressure trigger and new software upgrades, which results in a more seamless and natural pedal feel. When it comes to safety, all 2019 Acura MDX models come standard with the AcuraWatch suite of advanced safety and driver-assistive technologies like Collision Mitigation Braking System with Forward Collision Warning, Lane Keeping Assist, Adaptive Cruise Control with Low-Speed Follow, and Road Departure Mitigation with Lane Departure Warning. 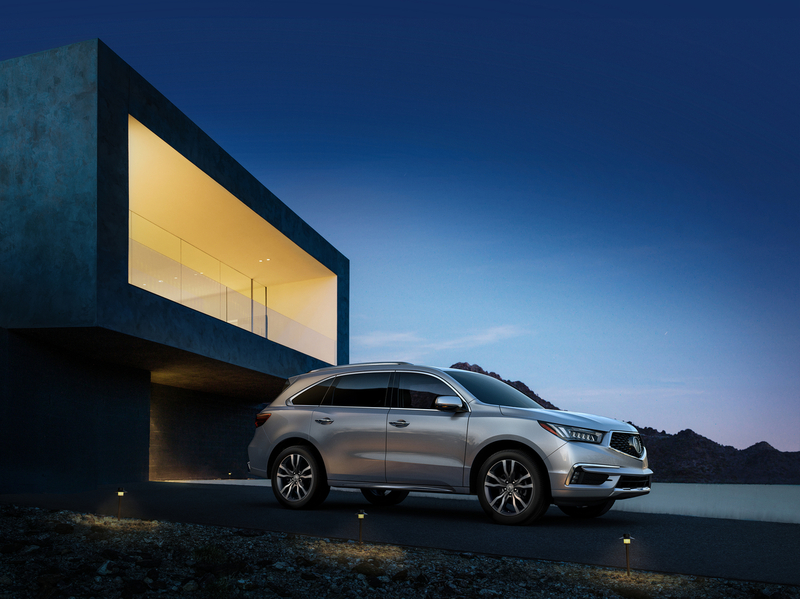 In addition to the features included in AcuraWatch, the MDX also comes with a host of active and passive safety features like Acura's Advanced Compatibility Engineering body structure, advanced front, side, and side curtain airbags, front pre-tensioning seatbelts, four-channel anti-lock brakes with Electronic Brake Distribution, Vehicle Stability Assist with traction control, and a tire pressure monitoring system. 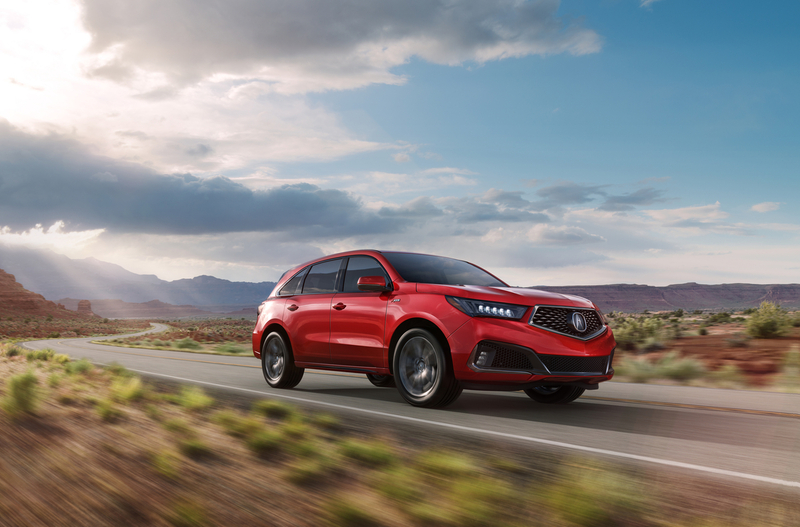 What You Need to Know: The 2019 Acura MDX with standard AcuraWatch technology and optional Super-Handling All-Wheel Drive starts at $44,300, plus a $995 destination and handling charge. The 2019 Acura MDX A-Spec with standard SH-AWD has a starting price of $54,800 (excluding the destination and handling charges). The 2019 Acura MDX Sport Hybrid will go on sale in August. According to the EPA, the fuel economy rating of the 2019 MDX with front-wheel drive stands at 20/27/23 (city/highway/combined). Fuel efficiency for the MDX A-Spec is rated at 19/25/21 mpg. 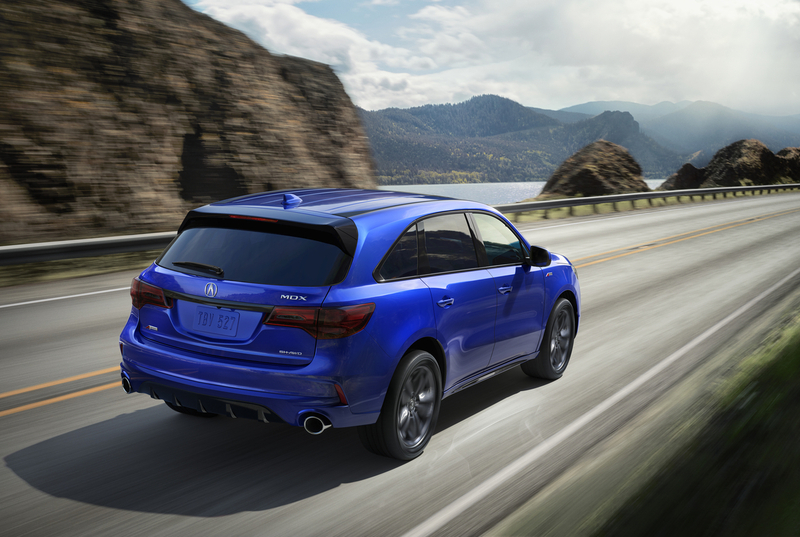 Finally, the fuel efficiency for all other MDX models equipped with Super-Handling All-Wheel Drive is rated at 19/26/22 (city/highway/combined). The 2019 Acura MDX will start arriving at local dealerships on July 17, 2018.